And our fabulous sponsor this week is Beccy's Place. The winner of this week's challenge will receive one digital image of their choice. For my card this week I chose a Christmas image so I can work on my Christmas Card stash - it will be Christmas before you know it!! 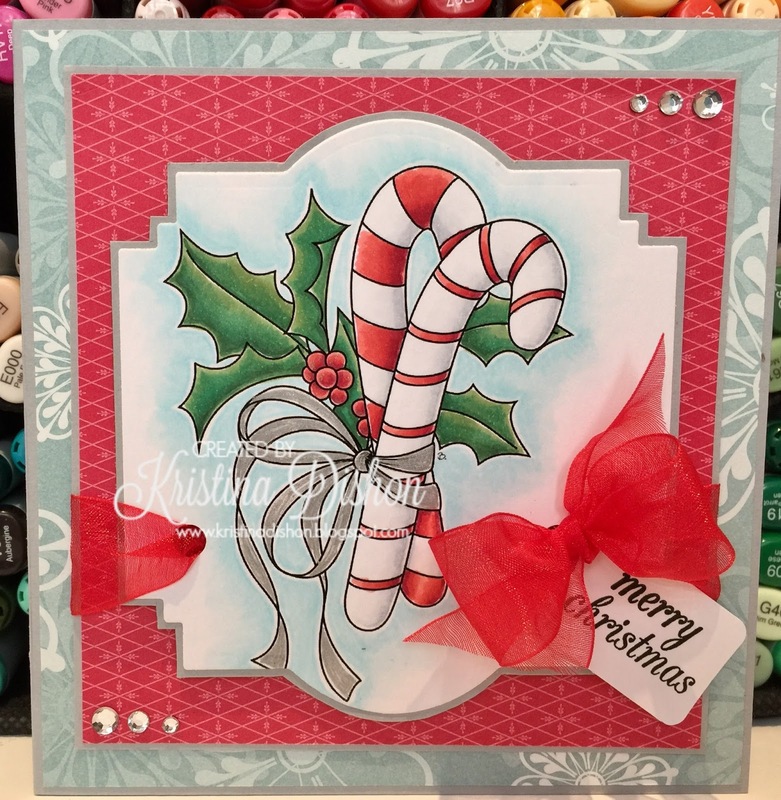 The Candy cane image that I have used comes from the set Sweet Christmas. I have coloured the image with Copic markers, and the ribbon is coloured with a silver gel pen - a bit hard to see the sparkle in the photo. I have then teamed the image up with some patterned paper from Stampin' Up, and the sentiment I used is from Hero Arts. I hope you get a chance to play along, I can't wait to see all of your fabulous creations.